-Palmer Center. Easton, Pennsylvania. September 20, 2014. 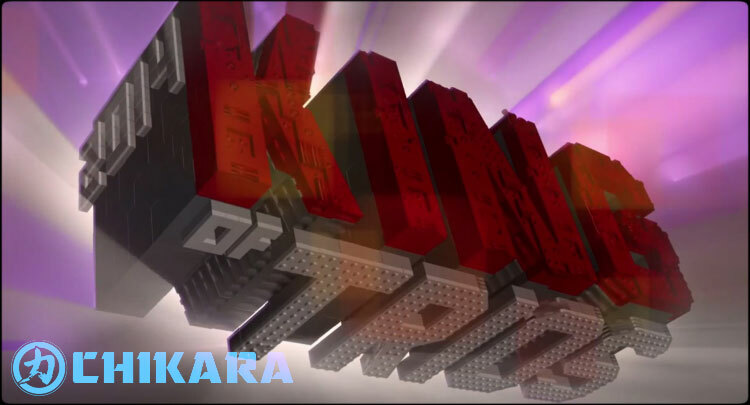 -Rey de Voladores (King of Flyers) returns! The four-way between Kota Ibushi, Jigsaw, El Generico, and Malachi Jackson from 2009 is on my shortlist of the greatest matches I’ve ever seen. -There’s not much to be said here that wasn’t said before, so let’s break down the remaining teams. Team UK and Spirit Squad: Do I need to explain? Might not because…They already have all the gold. what’s the point of more? I am so excited to see Rey de Voladores back. I’m also excited to see Rich Swann. When he was here in 2011, he was just a flippy dude. Now, he’s one of the better wrestlers in North America. It was also an inspired, if easy, decision to put Taylor and Swann together. They were stablemates in Dragon Gate USA for a while. 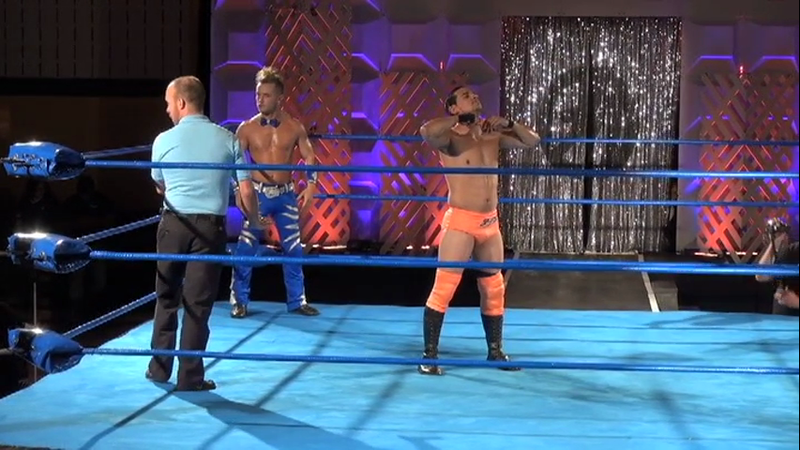 Swann is greeted by the Chikarmy with his familiar “All night long…” chant. Taylor cut a hilariously racist promo before the match. I can’t hate this guy. I just can’t. Tigre Uno is here from TNA. 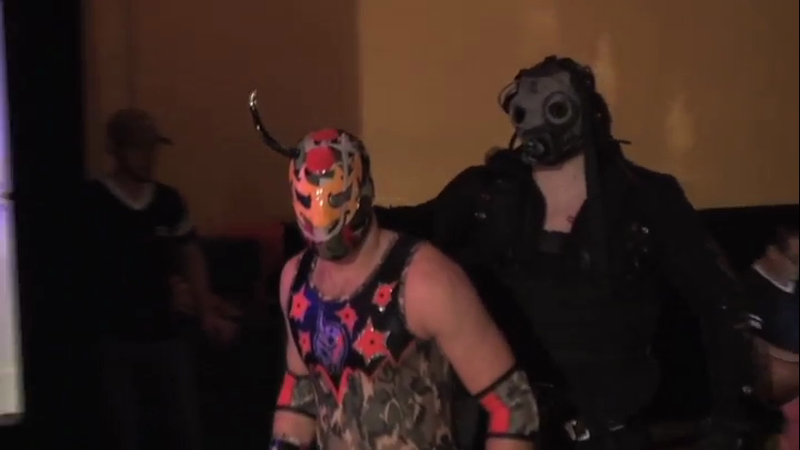 All I ask is that Shynron doesn’t win simply because he’s the Chikara guy. If you want to honor the real King of Flyers, either Swann or AR Fox is your winner. To summarize, there were lots and lots of awesome flips and it was awesome. Taylor was knocked out first by a Swann frog splash. The crowd booed. Swann tapped to a sweet Tigre submission. The crowd booed. Shynron eliminated Tigre with second rope 630 Senton! You know what? Screw it. Give Shynron the title as long as he uncorks something similarly crazy in the Final. His normal matches don’t always work because he’s all flips. But if you have a mini-tournament based on flippitude? Yeah, that’s his entire life’s purpose. I’m fine with it being validated. Gekido comes out and Jigsaw seemed depressed due to his brother disowning him the day before. That makes sense, right? My guess is that 17 isn’t very good at pep-talks either. Speaking of Jigsaw, his nonverbal communication is always off the charts. He’s been one of Chikara’s best storytellers since trouble began to brew between him and Mike Quackenbush. While a mask might restrict facial expressions, they do force a wrestler to become bigger with their body language, which in turn better conveys emotion and tells a better story. Remember El Generico? Nobody better, except probably Shawn Michaels. Jigsaw wanted to start, but 17 and Shard forced him out. Jigsaw was sad. Shenanigans to start. Even Shard busts out some humor. Both these teams are expert storytellers in their own way. The crowd chanted at Jigsaw, who looked more and more despondent as the match went on. Even as Jigsaw landed some signature moves on 3Peck0, 17 and Shard taunted and disrespected him. After five minutes of great reversals and nearfalls, Shard and Jigsaw got into a shoving match which ended with Jigsaw spilling backwards into a Boston Crab. Jigsaw taps. Shard and 17 confront Jigsaw after the match. Jigsaw refused to follow them to the back, even Superkicking Shard when he tried to force the issue. The massive smile on my face was a testament to Team Gekido’s storytelling over the last two nights. Quack came down to the ring and told Jigsaw that Chikara is his home. Jigsaw stormed past Quack, shouting that he’s the best wrestler in the building and that he didn’t need anybody. 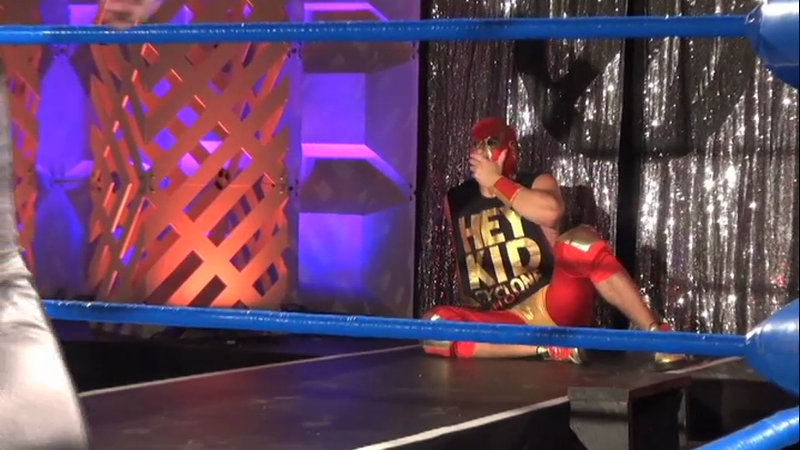 Chikara sure hotshotted this story, but those involved did a great job of telling it. I’m looking forward to seeing how this shakes out. It’s the battle of the bowties! I thought I was really clever until the commentators make the same joke several times. Rockstar Spud is best known a Dixie Carter crony over at TNA. Spud pulled an extra bowtie out of his jock for Bryce, who seemed unnaturally happy about an object hanging out next to someone’s junk for the last twenty minutes. A wrestling match eventually broke out. Juan Francisco dominated most of the match. Spud made a comeback, but Coronado halted it by crotching Spud on the top rope and German Suplexing him for the win. Fun little match. Nothing more, nothing less. Kid Cyclone led his two compatriots, Equinox III and Create-a-Wrestler II, back out to the ring, called Deucalion a coward again and offered him one more chance to fight them fairly. Kid Cyclone was cool and relaxed on the microphone and has a good natural presence about him. Equinox III, meanwhile, looks like a stiff breeze could snap him in half. No one answers the GHM’s call. Kid Cyclone said they were going to take a page out of the Flood’s book and attack them when they don’t expect it, which will be never because you warned them. Nice work, Cyclone. Bakabella’s trio laid the wood to Team UK early on, dominating them at every turn. Team UK came back for five fun minutes of back and forth action, including a clever spot where Max Smashmaster referenced his slip the previous night by “slipping” again. This was a fun match and Team UK looked a little stronger than one might have expected. The Devastation Corporation won with the Death Blow and headed into Night 3 quite a bit fresher than 3Peck0 or The Colony. MOAR AR FOX, PLS! He’s been ripping it up in Dragon Gate USA and Pro Wrestling Guerilla for a few years now. The Great Sanada comes from Japan by way of TNA. Orlando Christopher comes from various promotions around the Midwest. Everyone knows Amasis. Again, there’s probably a move-by-move recap somewhere else. Suffice it to say, there’s lots of flippy goodness and you should watch it. That’s just a good rule. If it’s King of Trios, watch it. Orlando Christopher hit a coast-to-coast headbutt on Amasis, which seems like the most dangerous move possible for a person’s neck. Sanada rolled him up and pinned him with some assistance from the ropes. Fox can’t get the Lo-Mein Pain on Amasis, who knocked him out with a 450 Splash. Sanada used Jonathan Barber as a distraction so he could blast Amasis with the mist for the win. Sanada is great. 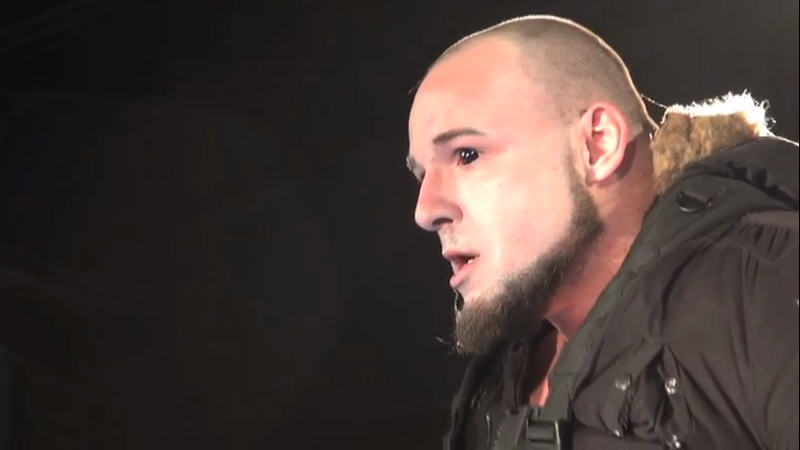 TNA is wasting him somehow, aren’t they? The Golden Trio gets the other “easy” draw. There’s no way this team doesn’t make Night 3. Also, how does Chikara have the rights to use the “Spirit Squad” moniker? Is Chikara so low that WWE doesn’t even care? The Spirit Squad decided that the Chikarmy does not have spirit. There is no doubt who the bad guys are in this match. Chicanery ensued as Dasher found various ways of turning the ring gear of Mikey and Kenny against them. The Spirit Squad isolated the Golden Trio for a while until Chikara’s heart led to a comeback, a pair of 3Ds and the Chikara Special. There was even less doubt as to who would win this match than the Devastation Corporation match. It wasn’t a bad match, but it definitely was the least interesting of the evening. Yamamoto is actually WWE’s Yoshi Tatsu. He was the Japanese guy who waved a lot and didn’t have a finisher. Or maybe he did, but no one can prove it since he didn’t win a match in his last three years with the company. (Research says I was wrong. He beat Johnny Curtis, soon to be Fandango” on the 2/7/12 edition of WWE Superstars) All the graphics called him “Yoshi Tatsu,” however. Hopefully, no one gets sued. Ashley Remington apparently plays squash with a ball as large as his head. Ashley is the best. And his ladies are back too! The two went through all of the usual smooth sailin’ bits. Juan Francisco was on commentary and had killer lines about the women of Easton and bitcoin, the official currency of Ecuador. Remington seemed to have the match won with a deadlift German Suplex, but Coronado broke it up, tossing Ashley into the turnbuckle and giving him the DQ victory. Juan Francisco celebrated until Yamamoto drilled him with a roundhouse kick. Remington thanked Yamamoto with a fruit basket. It was a good match while it lasted. I will eat the hat I’m not wearing if this isn’t the match of the evening. There are just so many possibilities with Deucalion, Delirious, Snow Troll, the Greenhorn Militia, and probably Soldier Ant hanging around. It’s going to be great. Jacobs cut a promo explaining that he doesn’t enjoy this war. He says that violence hurts people and that he feels every death. He doesn’t want this war of attrition to continue, which is why he is thrilled that Eddie Kingston has tipped the scales. This war will end soon. The match starts white hot. Everyone’s diving to the outside within twenty seconds of the opening bell. Both sides are presented as complete equals through some fantastic back and forth action. The Colony fired into a fury of devastating moves while the Flood tried to slow down the pace. Finally, the Flood got a shot at Worker Ant’s knee, cutting him down to size. In fairness, if Worker Ant didn’t want that knee targeted, he probably wouldn’t have taped his knee outside of his pants. How does that even help? Also, Jimmy Jacobs doesn’t know which leg the Figure 4 is supposed to hurt. The Colony came back, but was halted by an apron Spear to Fire Ant. Jacobs abused Snow Troll, whom Leonard Chikarason really hates, on his way back into the ring. Snow Troll responded by grabbing Jacobs’ leg, saving Fire Ant from another Spear! What was he supposed to do, Chikarason? Die? Worker Ant hit his Pump-handle GTS, but Snow Troll grabbed him and pleaded with him to break his shackles. Snow Troll kept pleading and distracting Worker Ant while the Colony’s window closed. No, nevermind… The main event ended and there’s ten minutes left. This is gonna get bad for someone. Match of the evening. Worker Ant was smart enough to get the hell out of dodge. The Flood stood triumphant before Deucalion. Volgar and Jacobs knelt but Kingston had second thoughts about kneeling to anyone, mythical flood survivor or not. Before Kingston made a decision, the Greenhorn Militia appeared. Apparently, Kid Cyclone didn’t make it to the page in the Flood’s book where they wait for numerical superiority. The GHM, possessing more guts than brains, charged into a 3 on 4 situation. The Flood gained the upper hand in the ensuing brawl, but Chikara forces, inspired by the stupidity of the young’uns, came to the rescue. As Chikara and the Flood battled on the outside, the GHM surrounded Deucalion in the ring. For a moment, it seemed like someone had finally revealed that the emperor wore no clothes. That was, at least, until Deucalion easily tossed them aside. 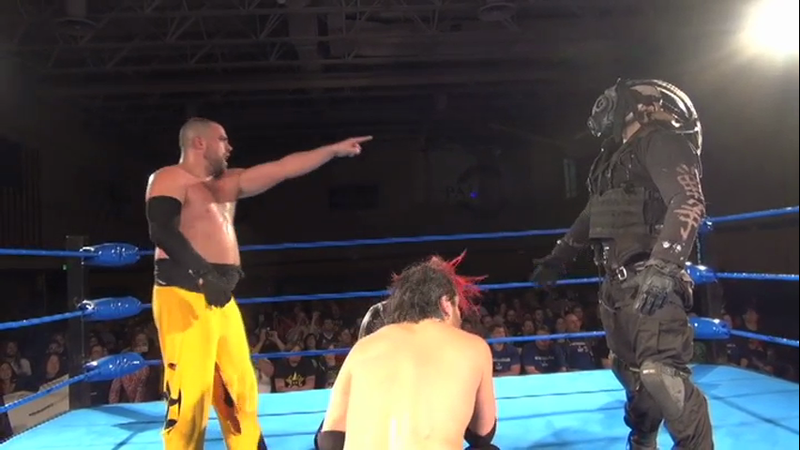 Kid Cyclone jumped on Deucalion’s back tore off Deucalion’s Bane-ish headgear, revealing…Someone I don’t recognize! But he’s really huge and had full black contacts going and it’s pretty creepy. He chanted “cowards” at the GHM before snapping Equinox III and then CAWII over his knee with Chokebreakers. Kid Cyclone was next, but he squirmed away and retreated. For just a moment, he sat on the stage, horrified and nauseous over what his hubris had brought his friends. Hallowicked knelt near the corpses of his students while the crowd chanted “Where were you?” A good crowd can really elevate a story. This got really powerful, really fast. After the GHM was carried away, Jacobs and Kingston came back and claimed Snow Troll. Wow… Talk about a downer ending. Still, for the cost of two nobodies, the storytelling possibilities are endless. Jigsaw is a wild card. Kingston still hasn’t bowed to Deucalion, which could be an issue going forward. Delirious, Soldier Ant, and Snow Troll are all POWs. Kid Cyclone is somewhere, wracked with guilt. How many redemption stories have we seen that begin with someone making a mistake that gets people killed? Better yet, the Easton Chikarmy caught on to what I’ve been saying for the past several months. Where are all the leaders? Hallowicked seemed to understand his complicity in the Jedi Temple Massacre. Maybe it dawned on Icarus too. Maybe the blood of the innocent will wake Chikara up. Of course, there’s still no good reason for them to need that with the Flood repeatedly saying they want to destroy Chikara, but still… They are addressing the issue and it’s incredibly powerful. For Any Reason? Is it still King of Trios? If so, then yes! RIP Equinox III & Create-a-Wrestler II. We hardly knew you. Like literally. This entry was posted in Professional Wrestling and tagged AR Fox, CHIKARA, Deucalion, Devastation Corporation, Eddie Kingston, Greenhorn Militia, Jigsaw, Kid Cyclone, King of Trios, King of Trios 2014, Night 2, Rey de Voladores, Rich Swann, Rockstar Spud, Shynron, Soldier Ant, Yoshi Tatsu by Rites of Patches. Bookmark the permalink.